GrayHatWarfare created https://buckets.grayhatwarfare.com/ a free tool that lists open s3 buckets and helps you search for interesting files. In essence, many files are publicly accessible, some by design. These files sometimes include very sensitive data. https://github.com/nagwww/s3-leaks has a list of the biggest leaks recorded. Another reason why application owners who provide backups solutions and cloud storage should be encrypting their data before placing it on S3. Anything less is negligence on their part. https://github.com/jordanpotti/AWSBucketDump — takes an argument a wordlist and can check if buckets with that name exist. Also, it can download the files from the first page of results. https://www.thebuckhacker.com/ — Search engine for some buckets. It includes (according to their posts) ~100 000 buckets and growing, and they index the first page of each. https://github.com/kromtech/s3-inspector — Uses amazon keys to check if some of your buckets are open. The real problem is where to find the list to brute-force for buckets, and not actually doing the brute-force. All tools/projects only scan the first page for results. thebuckhacker.com includes uninteresting files and useful results tend to be lost in the noise. Also, the first 1000 results of each bucket are fairly limited. The process is slow and not productive. It’s not very useful for pen-testers to run a tool to run for days, save the exports somewhere and then grep them whenever they want to search for something. What is better is a useful tool in front of a large database. Now there is http://buckets.grayhatwarfare.com/. Which took the ideas of the many projects and tools previously mentioned above. 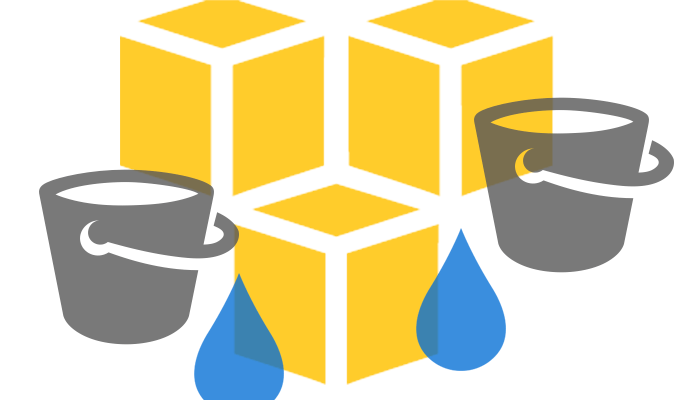 It is a searchable database of open buckets. Includes millions of results within buckets (In the future might be more). Cleaned up and removed uninteresting files like images. Most images names are auto-generated. Currently has ~180.000.000 files. Included are all images that number would go up to a few billion, which is a completely different system. The user can browse the contents of the bucket. Excluded a lot of other things that are not interesting like cloud-watch logs. Found a solution to the problem on how to generate possible names for buckets. The process reviles some hundreds of new buckets per day. The project is currently free and running on servers paid by me. There are some limitations in place to protect resources, but otherwise pentesters can use this on their daily tasks. Huge lists of exposed version control (.git) which can expose the website’s repository (Source, password files, log files etc). Huge resources like extremely large (actual) cracked password lists. When it comes to privacy, using Google search is not the best of ideas. When you use their search engine, Google is recording your IP address, search terms, user agent, and often a unique identifier, which is stored in cookies. DuckDuckGo is a US-based search engine that was started by Gabriel Weinberg in 2008. It generates search results from over 400 sources including Wikipedia, Bing, Yandex, and Yahoo. DuckDuckGo has a close partnership with Yahoo, which helps it to better filter search results. This is a great privacy-friendly Google alternative that doesn’t utilize tracking or targeted ads. Qwant – is a private search engine that is based in France and was started in 2013. Being based in Europe, the data privacy protections are much stricter, as compared to the United States. StartPage – StartPage gives you Google search results, but without the tracking. vCenter Single Sign by default requires the user to specify the domain during authentication with vCenter. You can eliminate the need to insert the domain in the username by following the following steps. Log in to the vSphere Web Client as administrator@vsphere.local or as another user with vCenter Single Sign-On administrator privileges. Browse to Administration > Single Sign-On > Configuration. On the Identity Sources tab, select an identity source and click the Set as Default Domain icon. In the domain display, the default domain shows (default) in the Domain column. Set the domain of choice as your new default. The next time when you attempt to login into vCenter, you can omit the DOMAIN from your username. A remote code execution vulnerability exists in the Credential Security Support Provider protocol (CredSSP). An attacker who successfully exploited this vulnerability could relay user credentials and use them to execute code on the target system. CredSSP is an authentication provider which processes authentication requests for other applications; any application which depends on CredSSP for authentication may be vulnerable to this type of attack. As an example of how an attacker could exploit this vulnerability against Remote Desktop Protocol, the attacker would need to run a specially crafted application and perform a man-in-the-middle attack against a Remote Desktop Protocol session. An attacker could then install programs; view, change, or delete data; or create new accounts with full user rights. The security update addresses the vulnerability by correcting how Credential Security Support Provider protocol (CredSSP) validates requests during the authentication process. The vulnerability impacts Windows 7, Windows 8.1, and Windows 10 systems, as well as Windows Server 2008, Windows Server 2012, and Windows Server 2016. To address the issue, Microsoft released an update to correct the manner in which CredSSP validates requests during the authentication process. The update patches the CredSSP authentication protocol and the Remote Desktop clients for all affected platforms. “Mitigation consists of installing the update on all client and server operating systems and then using included Group Policy settings or registry-based equivalents to manage the setting options on the client and server computers. We recommend that administrators apply the policy and set it to “Force updated clients” or “Mitigated” on client and server computers as soon as possible,” Microsoft says. I have noticed that this patch has been disruptive to system owners who use remote desktop to access and manage servers. Installing the patch on a client host w/o having it installed on the remote endpoint will end in an error preventing you from accessing them. The following is a list of good practices designed to keep individuals and their data safe online. Avoid opening emails, downloading attachments, or clicking on suspicious links sent from unknown or untrusted sources. Verify unexpected attachments or links from known senders by contacting them via another method of communication. Avoid providing your email address, phone number, or other personal information to unknown sources. Avoid providing sensitive information to anyone via email. If you must, be sure to encrypt it before sending. Be skeptical of emails written with a sense of urgency and requesting an immediate response, such as those stating your account will be closed if you do not click on an embedded link or provide the sender with sensitive information. Beware of emails with poor design, grammar, or spelling. Ensure an email’s “sender name” corresponds to the correct email address to identify common email spoofing tactics. Use strong passwords on all of your accounts. Long, complex passwords make you less susceptible to brute-force attacks. Use a combination of upper and lowercase letters, numbers, and special characters. Avoid easy-to-guess elements like pets’ names, children’s names, birthdays, etc. Avoid using the same password across multiple accounts or platforms. Never share their password with anyone, leave passwords out in the open for others to read, or store them in an unsecured, plaintext file on computers or mobile devices. Consider using long acronyms or passphrases to increase the length of your password. Enable two-factor authentication (2FA) or multi-factor authentication (MFA) on all accounts that offer it. This will help prevent unauthorized access in the event of a credential compromise. Ensure any websites requesting the insertion of account credentials and those used to conduct transactions online are encrypted with a valid digital certificate to ensure your data is secure. These website addresses will have a green padlock displayed in the URL field and will begin with https. Avoid saving account information, such as passwords or credit card information, in web browsers or browser extensions. Avoid using public computers and public Wi-Fi connections to log into accounts and access sensitive information. Sign out of accounts and shut down computers and mobile devices when not in use. Program systems and devices to automatically lock the active session after a set period of inactivity. Keep all hardware and software updated with the latest, patched version. Run reputable antivirus or anti-malware applications on all devices and keep them updated with the latest version. Create multiple, redundant backups of all critical and sensitive data and keep them stored off the network in the event of a ransomware infection or other destructive malware incident. This will allow you to recover lost files if needed.